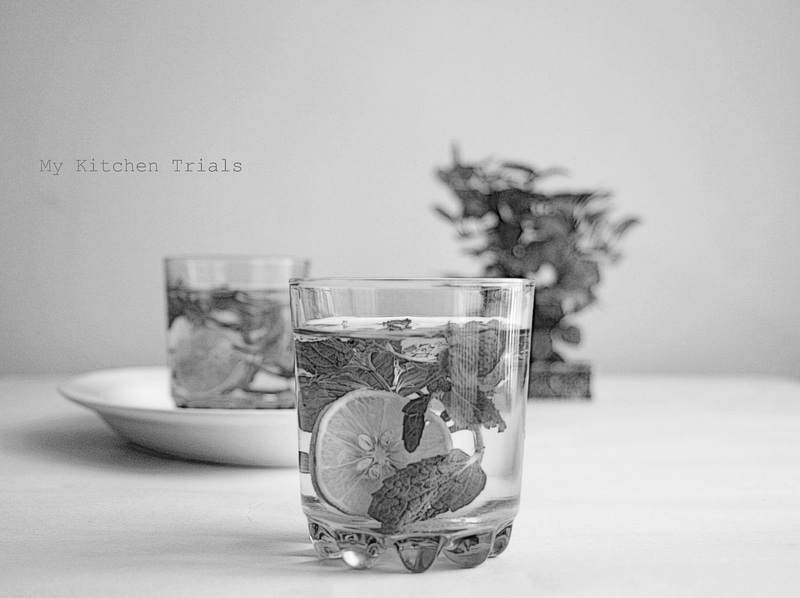 Sending this chilled glass of mint infused water with lemon slices to Cinzia’s Black & White Wednesdays, a weekly event. This week’s gallery is hosted by Susan of The Well Seasoned Cook, who started this event in 2011. That is beautifully shot. I especially like the different focuses and the almost magnified quality that the lemon has in the glass in the forground. Dreamy bokeh. It’s hard to shoot through glass and water, but you make it look so easy. Lovely comp, too. Thank you, Rajani, for joining in BWW!